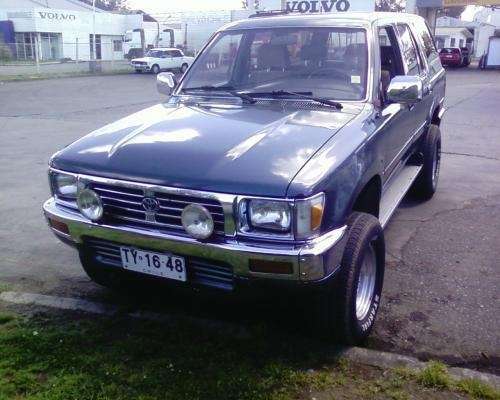 Toyota Hilux Surf 2000 belongs to the third generation of this model. From previous generations the car is distinguished by new engines, chassis, interior, exterior and improved security. A three-door body disappeared from the model range. The salon become much more spacious and has received more richer equipment in comparison with previous versions. The standard equipment include two airbags for the driver and front passenger, as well as belts with pre-tensioners. The brake system of Toyota Hilux Surf 2000 also underwent a change. It received a 4-channel ABS system. 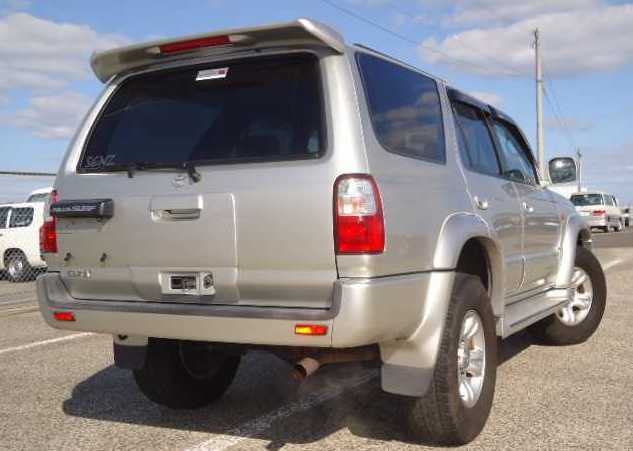 Also the list of the SUV equipment was replenished with new rotating regulators of the heating and ventilation system, multi-reflector lamps of the head light, a new four-spoke steering wheel, a traction control system and a trip computer. 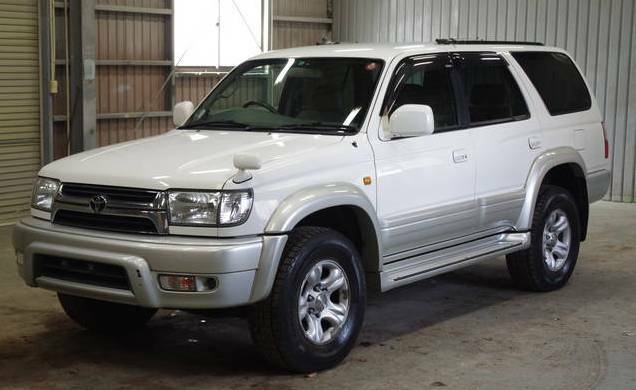 All these changes allowed the Toyota Hilux Surf 2000 to go into the class of more expensive SUVs. Toyota Hilux Surf 2000 has a new multi-mode transmission. 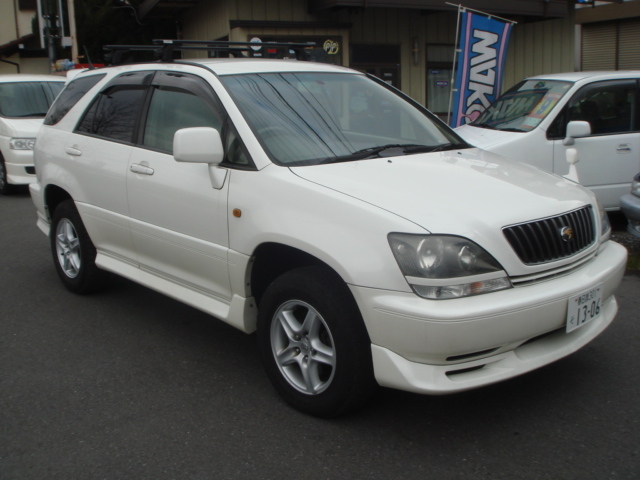 It allows you to use the all-wheel drive as well as the rear wheel drive on hard surfaces. The car got new engines. 5VZ-FE – 24 valve petrol V6 (3.4 liters of 185 force, 300 N / M) replaced the 3VZ-E. The four-cylinder 3RZ-FE (16-valve, 2.7 liters 150 forces, 240N / m) replaced the 22R-E. New motors have provided decent dynamics and confident movement on impassability. The chassis with a revised independent spring suspension on the twin levers and increased wheelbase significantly improved handling and stability. 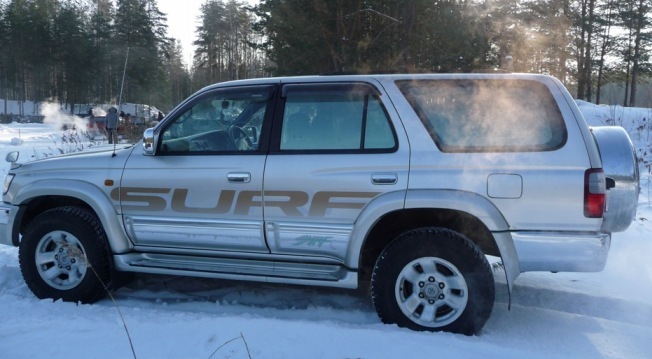 We are really happy to present you Toyota Hilux Surf 2000. 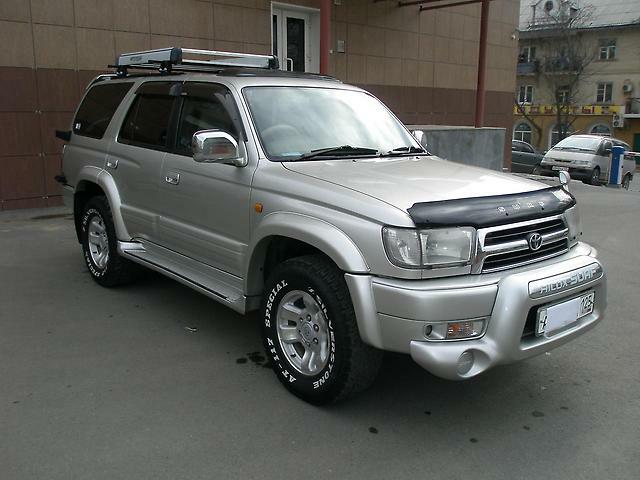 In the same review see photos and video of Toyota Hilux Surf 2000. So – go!